Discover the differences in evolutionary adaptation between dolphins and humans, which allow these marine mammals to move through water far more easily and efficiently than us. 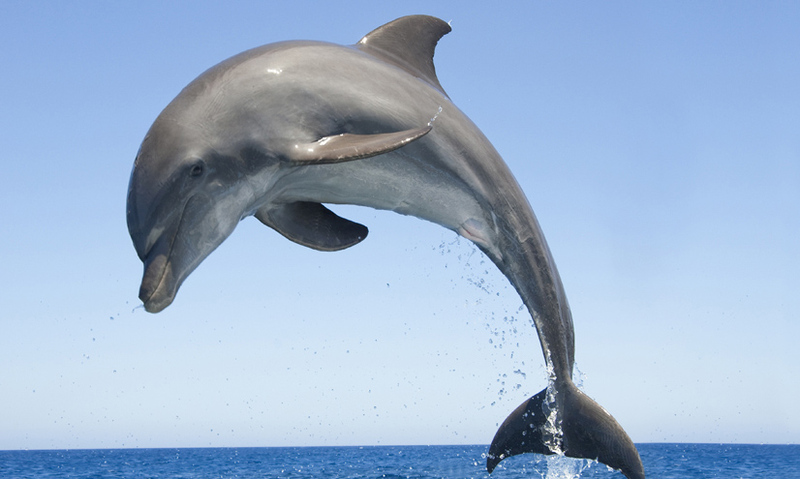 Dolphins can swim faster than humans because they are more streamlined. Dolphins experience less drag in water because their skin is smooth and thick like rubber. Humans experience more water resistance. Professional swimmers make themselves more streamlined. Dolphins seem to glide through the water effortlessly, at speeds of as much as 40km/h. For us, however, it's far from effortless. We first have to learn how to swim – and even then top athletes can only reach about 7 or 8km/h.